Encinitas is a nice vacation destination known for its amazing surf and quaint, small-town feel. Learn more here! Encinitas is a nice vacation destination known for its amazing surf and quaint, small-town feel. 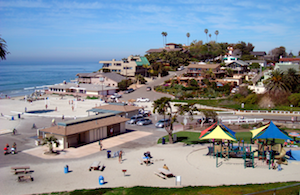 Encinitas is a small town between Oceanside and San Diego in San Diego County, convenient for destinations in both San Diego and Orange County. Book a beach house in Encinitas, a great destination for people who like to surf and to relax by the shore! While you're here, visit the Quails Botanical Gardens, the San Elijo Ecological Reserve, or destinations like Disneyland and the San Diego Zoo. The town of Encinitas was founded in the 1920s and still has much of that small town feel. Take a stroll down Main Street and soak in the historical vibes of this coastal gem. Visit the San Dieguito Heritage Museum and learn about the exciting history of Southern California! 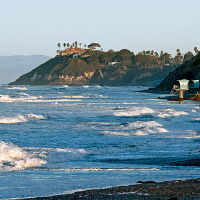 Encinitas beach house rentals are a great way to learn about the ecology of California. Encinitas is home to the San Elijo Ecological Reserve, which is a coastal wetland that features over 700 species of plants and animals, and the Quails Botanical Gardens where you can see a large variety of local flora and fauna. Beach lovers will enjoy the Moonlight State Beach and the Swami's Surf Break, which was voted one of the "Best Places to Surf" in 2009 by Surfer's Magazine! Encinitas has a Mediterranean climate, which means mild weather and plenty of sunshine year-round! Rent a house by the shore in February and take in their annual Storytelling Festival. Come anytime of the year and visit nearby destinations like LEGOLAND in Carlsbad, the San Diego Zoo, Disneyland in Anaheim, and Seaworld, all within a half an hour drive from your beach house.